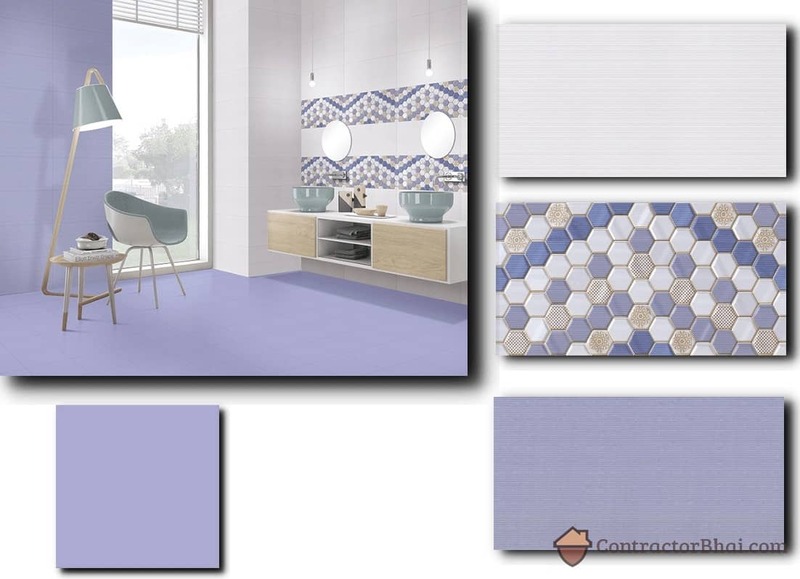 We studied best selling Interior design building materials & created Colour Scheme Galleries. 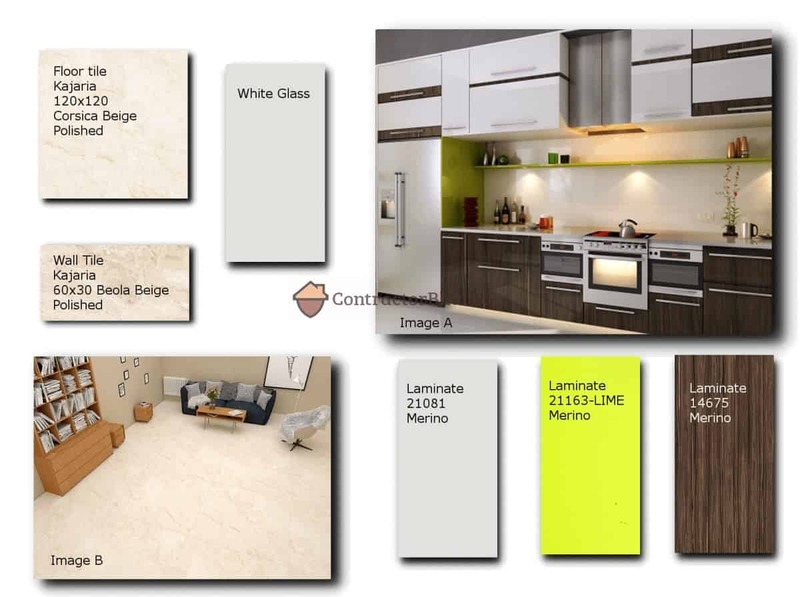 As part of 3D Design Service, we work with each home owner to figure out best suitable colour scheme & materials for their rooms. 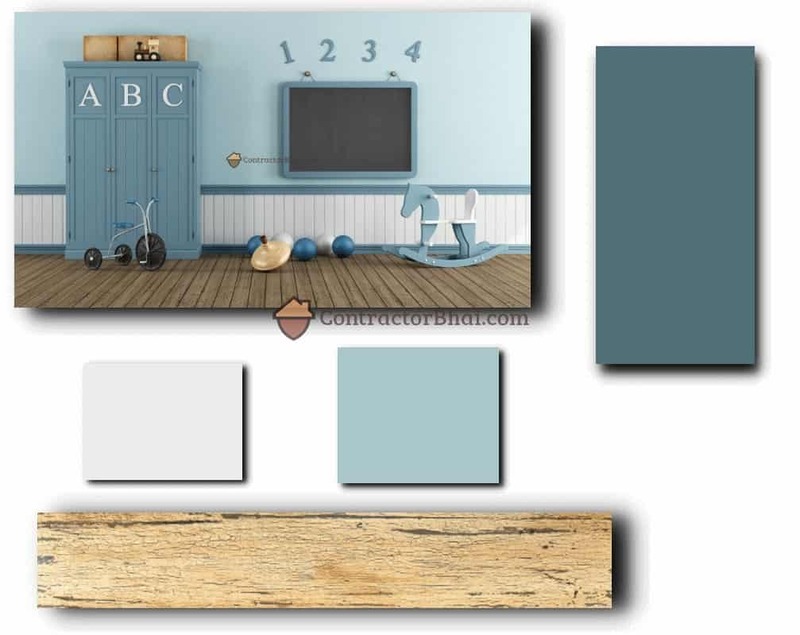 Below are 3 examples of Colour Scheme Moodboards for each room in your house. 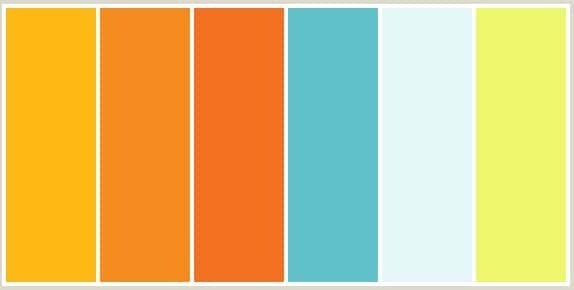 1) What are CB Colour Scheme Moodboard ? 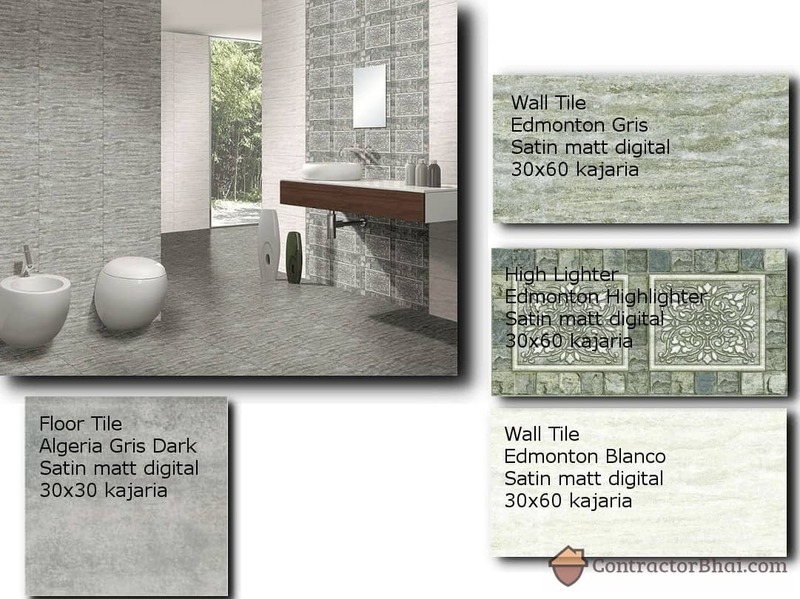 Each moodboard represents a colour scheme. 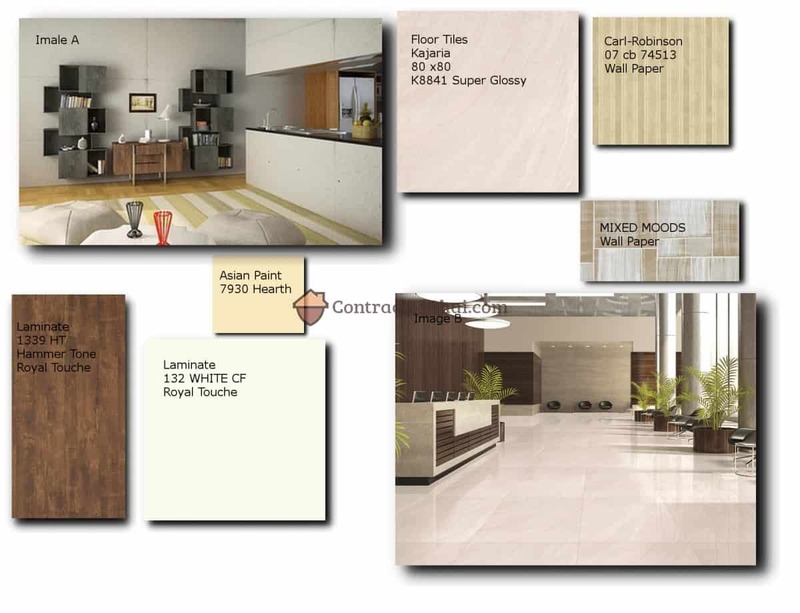 It is set of materials. 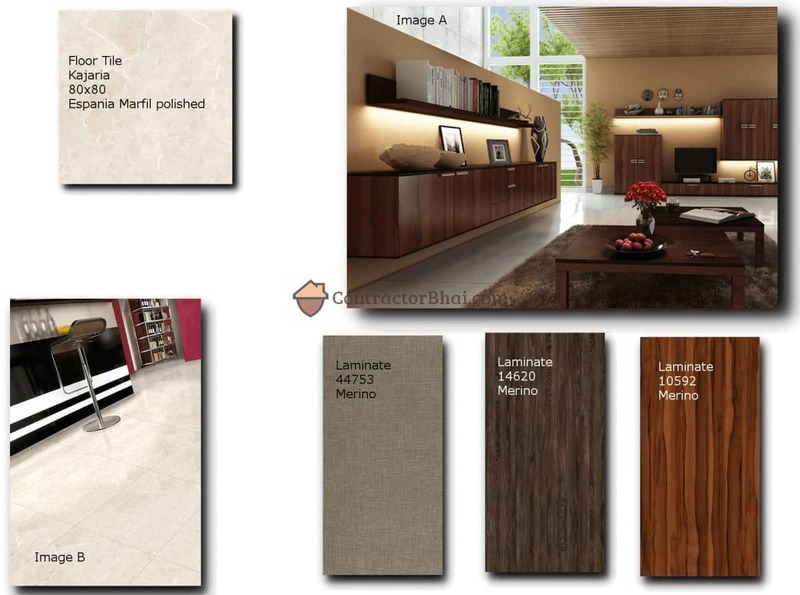 Image, brand name & code number is specified for each material. 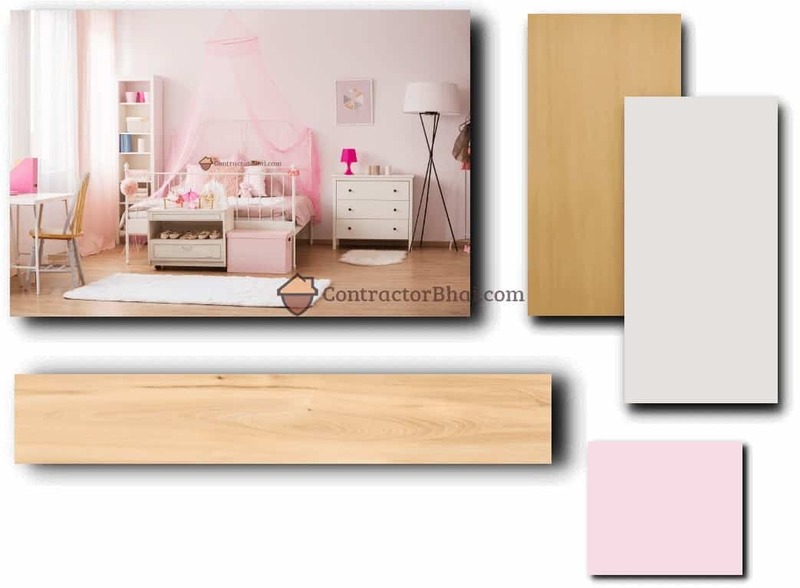 2) What materials are present in CB Colour Scheme Moodboard ? 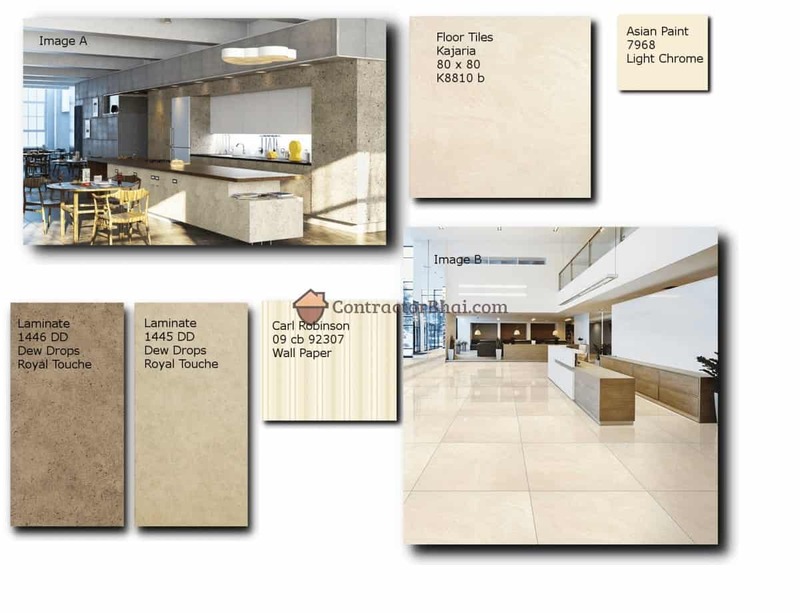 Laminates, Tiles, Wallpaper, Paint, Glass etc. 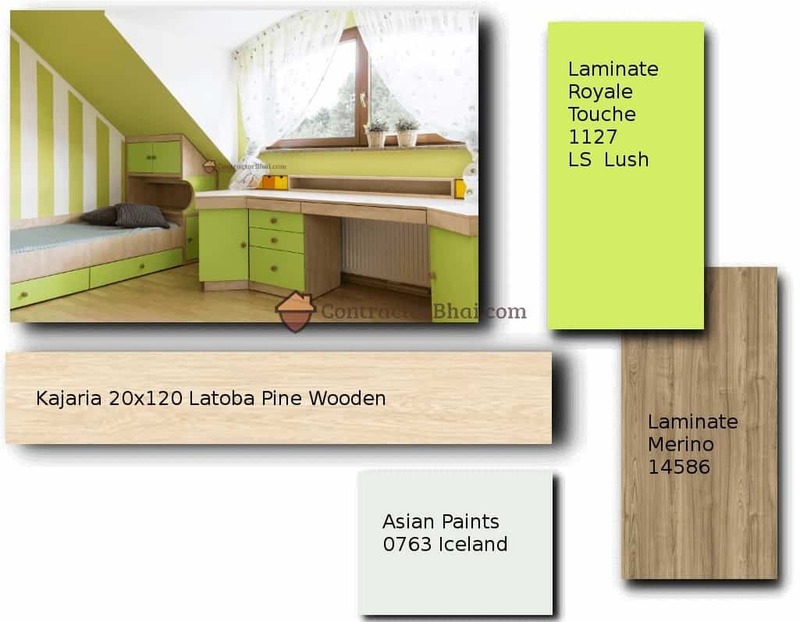 Mainly all finishing materials that are visible in a room & decide colour scheme of your room. 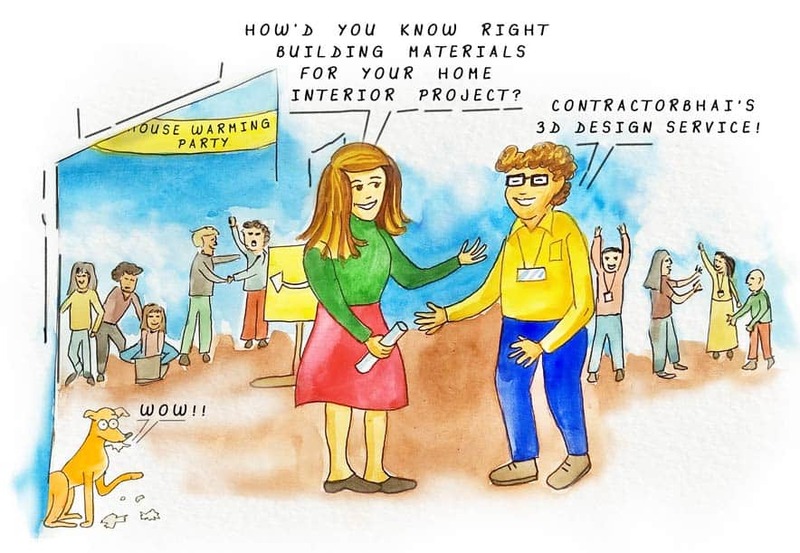 3) Which brands were used ? 4) How to use these ? 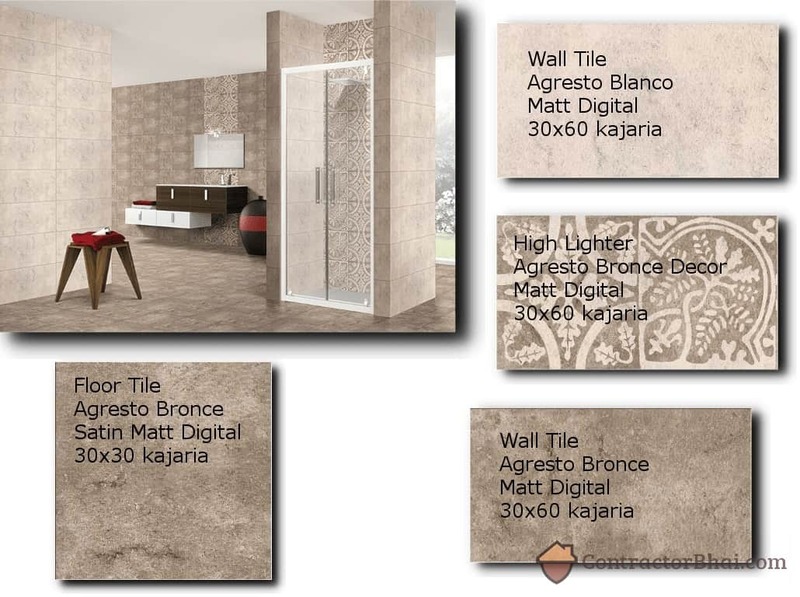 We have designed & personally seen rooms made with these materials, and these rooms look fresh & modern. 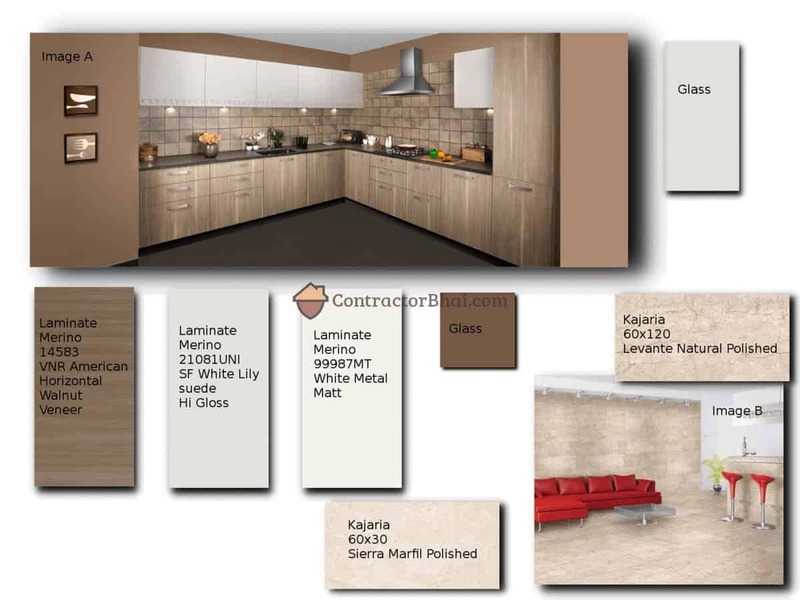 Feel free to choose or similar materials / colours in your home interior project. 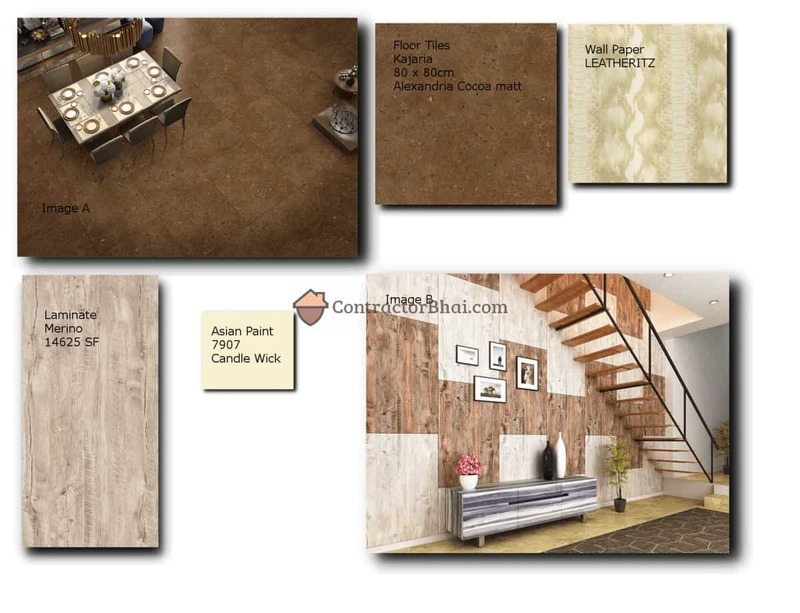 DISCLAIMER : Below material images & brand names are the property of their respective manufacturer. 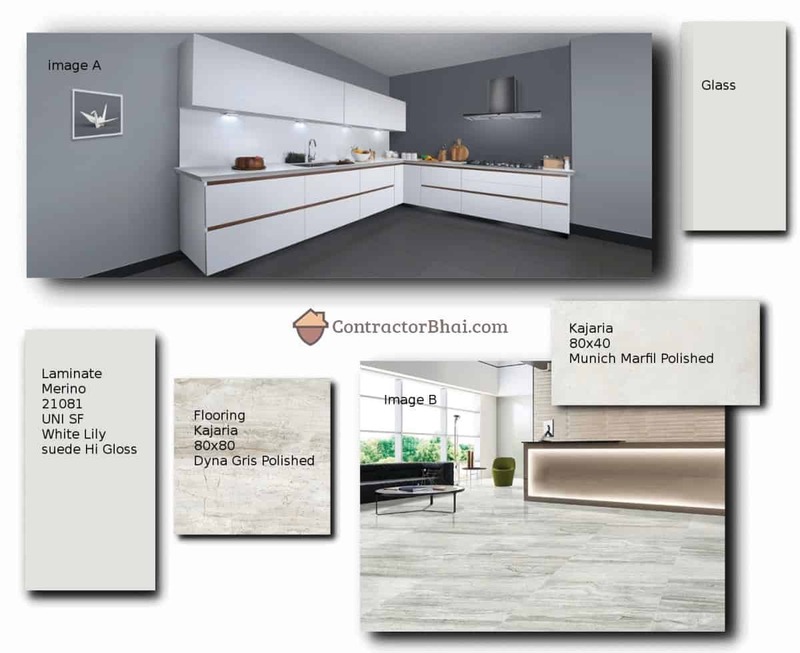 Contractorbhai’s 3D design service has just curated materials together to create Modern colour schemes. 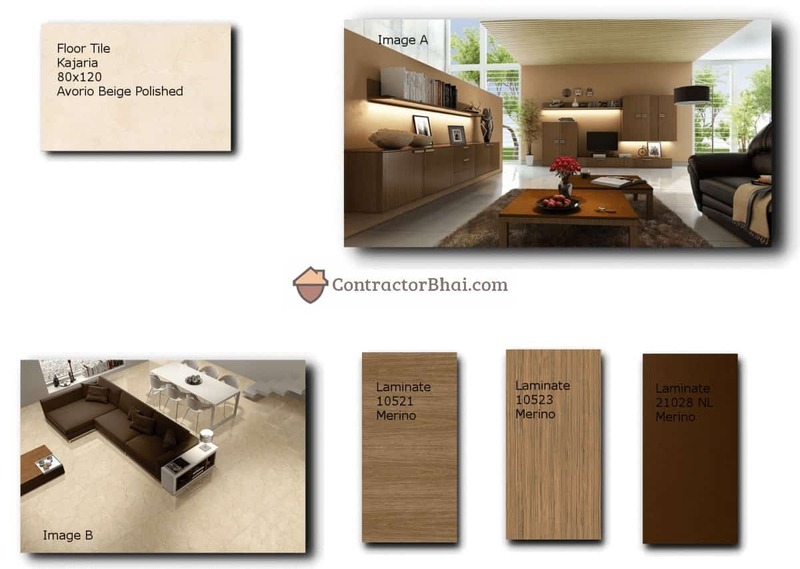 When you hire Contractorbhai’s 3D design service, we share much wider gallery of similar colour scheme. 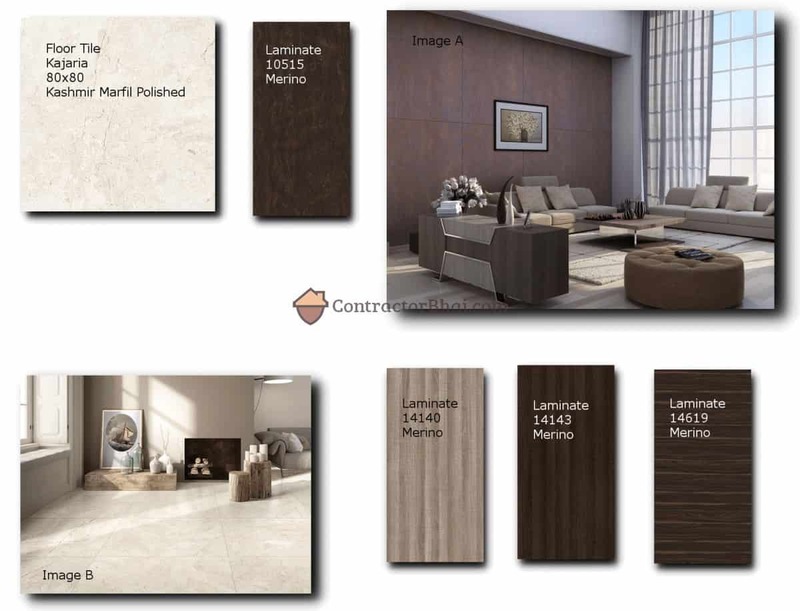 DISCLAIMER : Material images & brand names are the property of their respective manufacturer.